Where you shop matters. Tackle and Field Outfitters is a small business with a big offering. With deep roots in the community and a passion that permeates everything that they offer, this outfitter stands apart as a must-visit destination for anyone who loves the outdoors. 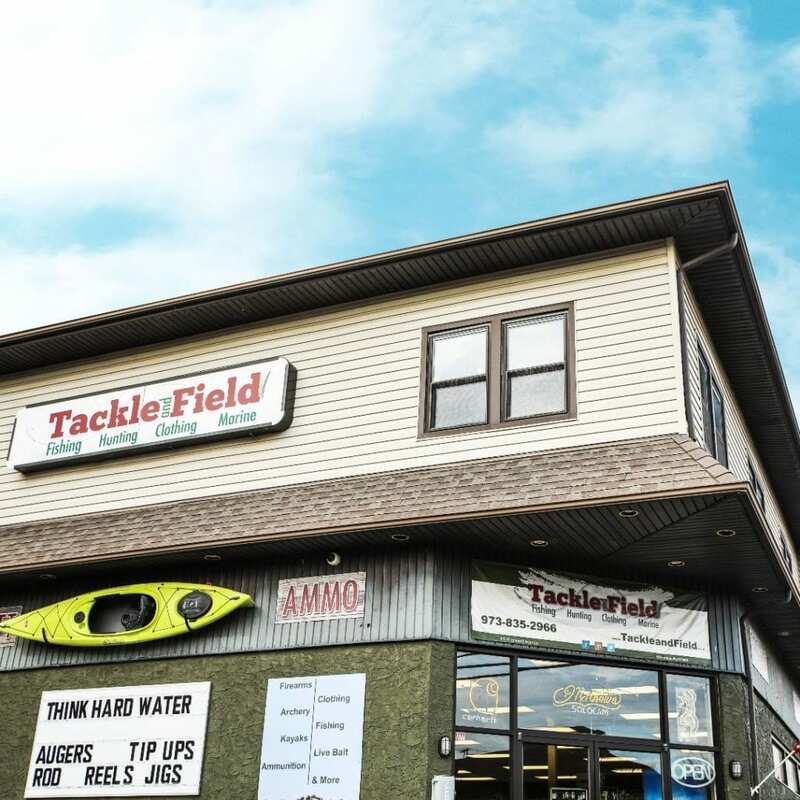 Thousands of feet have walked through the doors of Tackle and Field since it’s opening in 2013. With a two-story layout and an incredible curation of archery, shooting, fishing, and boating supplies, this unique store offers something for all budgets and all experience levels. Every staff member is a seasoned outdoorsman, with a knowledge that far exceeds the ordinary. In addition to a fully-stocked, ever-changing inventory, Tackle and Field is also a New Jersey Licensing Agent and a turkey check-in station. They offer in-house bow, firearm, kayak, and fishing rod and reel servicing and have earned a reputation for their attention to detail, expert knowledge, and timely service. Tackle and Field Outfitters is conveniently located just minutes from Route 23 and Interstate 287. Stop in today to see why this is one of the most talked about outfitters in the tri-state area for hunters, archers, anglers, and boaters alike!